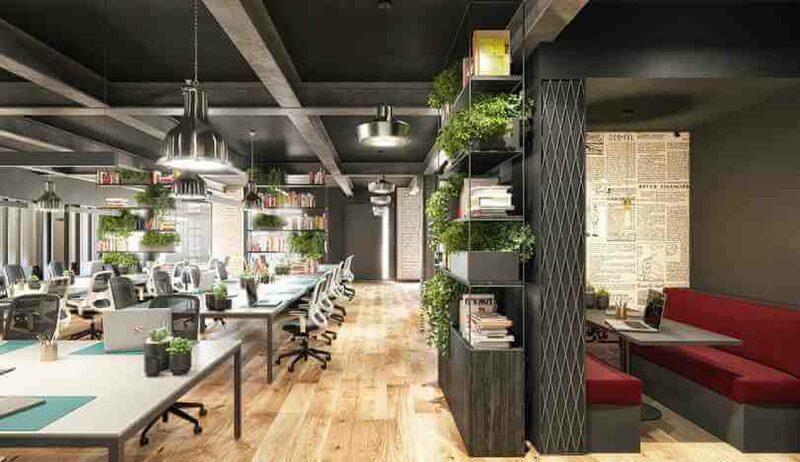 Flexible workspace provider Iconic Offices is renovating the 200-year-old former IAWS premises on Thomas Street in D8 and plans to open the premises to tenants in summer 2019. Iconic says there will be 70,000 sq. ft of workspace to accommodate up to 900 people over six floors. The front portion of the development, billed as The Masonry, will contain c.40,000 sq. ft of Georgian style office space, interconnecting to the back warehouse space which will be made up of c.30,000 sq. ft of exposed brick and beams office space. Iconic says most of the original features of the former IAWS headquarters will be retained and restored. IAWS was a major Irish agriculture co-operative with a focus on barley and malt than morphed into Aryzta plc. 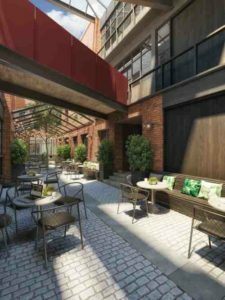 The Masonry will have two internal heated courtyards, a large event space holding up to 100 people and, subject to planning permission, a café and restaurant. McGinley added that salvaged items of furniture and will be inserted into the new design, maintaining nostalgic elements of the building’s industrial past. The rear office floors and co-working spaces will offer a ‘New York Loft’ style look and feel. Existing timber floors, exposed brick details, extensive steel beams and original industrial grain mill doors make up the warehouse material palette and have been retained where possible. Opening in two phases, the front portion of The Masonry will be available first, offering private office and collaborative co-working spaces. The warehouse phase is set to open later this year.